The Juniper Networks® EX4300 line of Ethernet switches with Virtual Chassis technology combines the carrier-class reliability of modular systems with the economics and flexibility of stackable platforms, delivering a high-performance, scalable solution for data center, campus, and branch office environments. 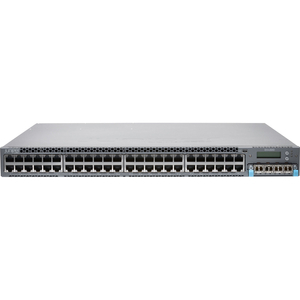 Offering a full suite of Layer 2 and Layer 3 switching capabilities, the EX4300 satisfies a variety of high-performance applications, including branch, campus, and data center access deployments as well as Gigabit Ethernet (GbE) access deployments. 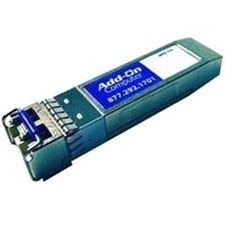 A single 24- port or 48-port switch can be deployed initially. As requirements grow, Juniper Networks Virtual Chassis technology allows up to 10 EX4300 switches to be interconnected and managed as a single device, delivering a scalable, pay-as-you-grow solution for expanding network environments. 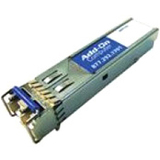 The EX4300 switches can be interconnected over multiple 40GbE quad small form-factor pluggable plus (QSFP+) transceiver ports to form a 320 gigabit per second (Gbps) backplane. Flexible 1GbE and 10GbE uplink options are also available, enabling high-speed connectivity to aggregation- or core-layer switches which connect multiple floors or buildings.prove productivity.